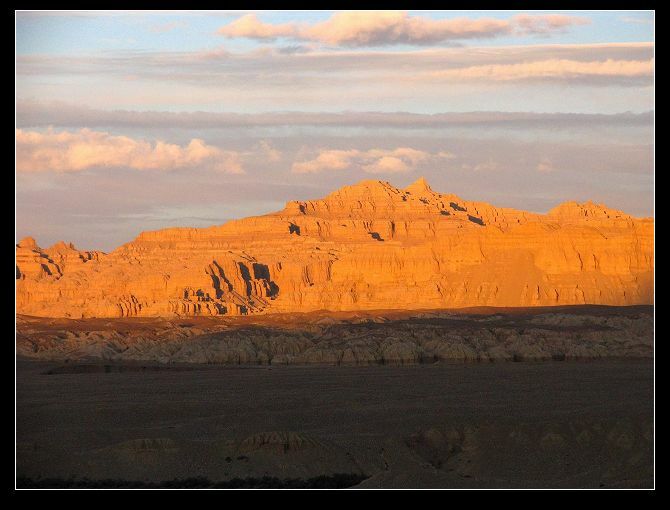 The Guge Kingdom in Ngari, Tibet, is discussed within archeological circles in similarly reverential tones as the Mayan Civilization and Pompeii. The three have in common that they were abruptly destroyed at their peak and obscured from the world for centuries. Also that when excavated, all were found to be in an uncannily well-preserved state. There are a dozen or so households scattered around the ruins of the ancient kingdom, none that have any connection with its original inhabitants. Exactly how this kingdom of 100,000 inhabitants disappeared from view 350 years ago is still a matter of debate. 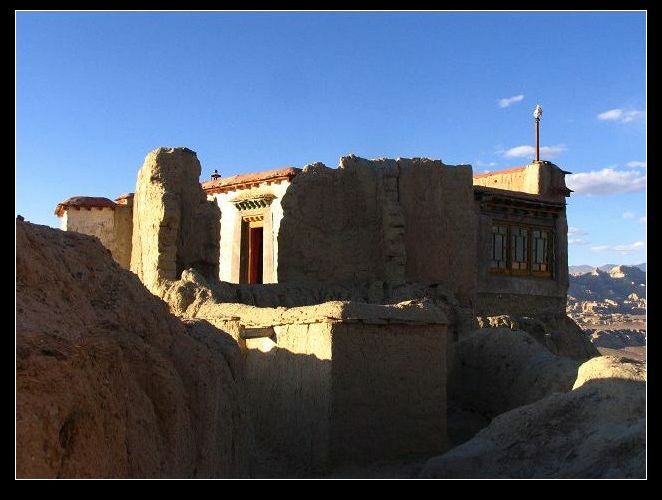 The ruins of the Guge Kingdom are in western Tibet on an isolated plateau at a latitude 4,000 meters above sea level. 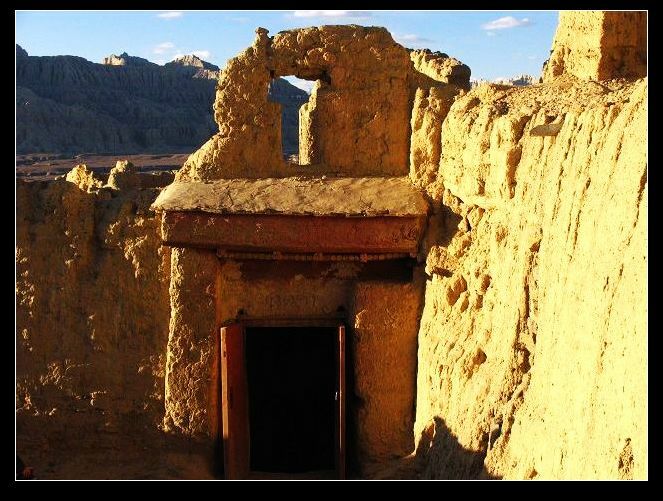 The remains of a formerly imposing city, comprising 879 cave dwellings, 445 houses, 58 forts and 28 pagodas, stand on a 300-meter-high hill beside the Xianquan River in Zanda County. 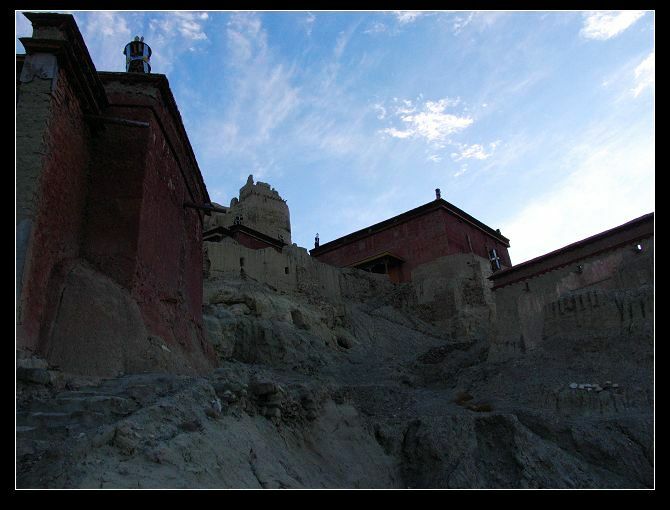 A narrow path from the city entrance leads upward to the Tara Hall, the White and Red Temples and Daweide (Grand Dignity and Virtue) Hall. Murals in the White Temple depict the family trees of the Tubo, Guke and Indian kings, and Red Temple frescos reflect religious events and rites, most notably the joyful meeting, celebrated with dancing to the accompaniment of drums and horns, of Ngari King Yeshe Od and Indian Buddhist master Adisha in 1038. There are well-preserved murals of the Buddha's guardian warriors, knights and gods of war in the Daweide Hall. Despite the passing of several centuries, their colors are still bright and lustrous, and the murals' detailed flowery decorations and occult connotations of Esoteric Buddhism are reminiscent of Indian, Nepalese and even Islamic art. The path up the hill is intersected with many steep slopes that serve as fortification. Armor, shields, broadswords, daggers and arrows have been discovered in the hillside caves, all in good condition thanks to the dry weather in the region. The imperial compound comprising more than 40 mud and wood structures is at the hill summit. Buildings are flat-roofed, and one, two and three storied with an average area of 12 to 18 sq m. The palace is to the southeast of the site. The remains of its largest building, a 200 sq m hall, are thought to be where the king discussed state affairs with his officials. 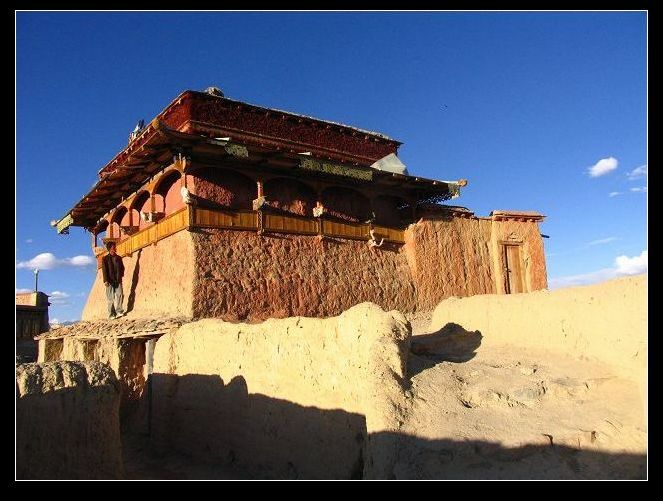 It has a mud and cobblestone floor built on pounded sand a traditional Tibetan architectural technique for floors and roofs that is still used in many Tibetan areas. Farther north up the hilltop is a tunnel with a narrow entrance that gradually widens as it winds downward for 20 meters. 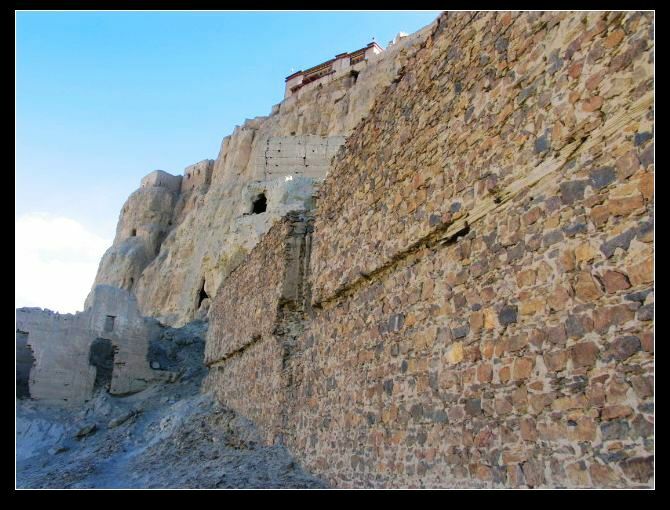 It leads to the uncompleted underground palace of the Guge king. The imperial castle is surrounded on all sides by precipitous cliffs that make it inaccessible other than by a 50-meter twisting trail that starts halfway up the hill. Reaching it is no easy task as low, overhanging rocks along the way obscure the light and force the traveler to walk stooping, and the steep, slippery stairs must be climbed with extreme care. It takes on average three hours to cover the 300-meter distance to the hilltop.